A crown strengthens a damaged tooth. It improves its appearance, shape and alignment. If you have one or more missing tooth a bridge may be advised. Bridges made of porcelain or ceramic match the color of your natural teeth. Crowns and most of the bridges are fixed dental prosthetic devices that are cemented on the existing teeth or implants. These can be taken out by a dentist only. A crown or "cap" covers the entire surface of a damaged tooth. It not only strengthens a damaged tooth, it improves its appearance, shape or alignment as well. It may be placed on an implant too to give a tooth-like shape and structure for function. Materials used to make a crown include—porcelain, ceramic, gold and metal alloys, and acrylic. Crowns made of porcelain or ceramic match the color of your natural teeth. As the alloys are stronger than porcelain they are preferred for back teeth. Remaining teeth to rotate or shift into the unfilled space of the tooth/teeth and cause bad bite. Imbalance as a result of the missing teeth can lead to gum disease and temporomandibular joint (TMJ) disorders. Bridges may be used to replace one or more missing teeth. They fill the space of the missing teeth. The bridge is attached or cemented to the existing natural teeth or implants around the unfilled space of the missing tooth/teeth. Several different material are used to make bridges. Your dentist may advice you the material based on the missing tooth (or teeth), its function, aesthetic considerations and cost. Bridges made of porcelain or ceramic match the color of your natural teeth. Crowns and bridges can last for the rest of your life. But they can become loose or fall out. To increase the longevity of your crown or bridge maintain good oral hygiene. The bridge can be damaged if the teeth or bone holding it in place are affected by dental disease. To maintain healthy teeth and gums brush with fluoride toothpaste (twice a day) and floss everyday and go for regular dental checkups and professional cleanings. Do not chew hard foods, ice or other hard objects to avoid damage to your new crown or bridge. Crown is a fixed dental prosthetic device that is cemented on the existing teeth or implants. A crown or "cap" covers the entire surface of a damaged tooth. It not only strengthens a damaged tooth, it improves its appearance, shape or alignment as well. It may be placed on an implant too to give a tooth-like shape and structure for function. As a replacement of a large filling if there isn't enough tooth left. To prevent fracture in a weak tooth. To Repair a fractured tooth. To cover up a dental implant, discolored or poorly shaped tooth, or tooth after root canal treatment. There are two types of crown - prefabricated or made in a laboratory. Prefabricated crowns: These can be prepared from plastic or stainless steel. They are mostly used as a temporary restoration until a permanent crown is made. Rarely prefabricated crowns are used for permanent restoration. Materials used to make crowns include metal [gold alloy, other alloys (palladium) or a base-metal alloy (nickel or chromium)], porcelain fused to metal (PFM), or ceramic. Crowns made of metals or PFM are tougher and preferred for back teeth. The life of a crown is at least 7 years, but they can last much longer (40 years or so). Some people may need endodontic or root canal treatment on the tooth before a crown. But everyone who needs a crown does not need a root canal treatment. Following a crown there should be no discomfort or sensitivity in your tooth. However, if you have persistent pain or hot/cold sensitivity tell your dentist. The gumline under your crowned tooth may appear to have a dark line especially after a PFM crown. Remember that crowning of a tooth does not protect it from decay or gum disease. Crowns can last for the rest of your life. To increase the longevity of your crown maintain good oral hygiene. To maintain healthy teeth and gums brush with fluoride toothpaste (twice a day) and floss everyday and go for regular dental checkups and professional cleanings. Do not chew hard foods, ice or other hard objects to avoid damage to your new crown. Crown can become loose or fall out. Food debris and bacteria can seep in from a damaged crown. The accumulation of food debris and growth of bacteria can lead to decay. Consult your dentist if your crown seems loose. If the crown falls out you can replace it temporarily and then consult your dentist. Your dentist may make a new crown or re-cement the old one itself on the tooth. Bridges may be used to replace one or more missing teeth. They fill the space of the missing teeth. The bridge is attached or cemented to the existing natural teeth or implants around the unfilled space of the missing tooth/teeth. A traditional bridge has crown for each tooth on both sides of the space (the missing tooth/teeth) and false tooth/teeth in between the crowns. If the adjoining teeth on which the crown is placed are healthy and strong, they won’t need root canal therapy. But a small part of the teeth may need to be removed so that the crown fits well. Porcelain fused to metal (PFM) or ceramics are most often used to make traditional bridges. Besides the traditional bridge other types of bridges are - Cantilever bridges, Maryland bonded bridge. Your dentist will recommend the kind of bridge you need after examining your teeth. At least two dental visits are needed to make a bridge. In the first visit the teeth to be crowned are prepared and impression is made. In second visit the bridge is placed. Bridges last at least five to seven years or can even last for the rest of your life. 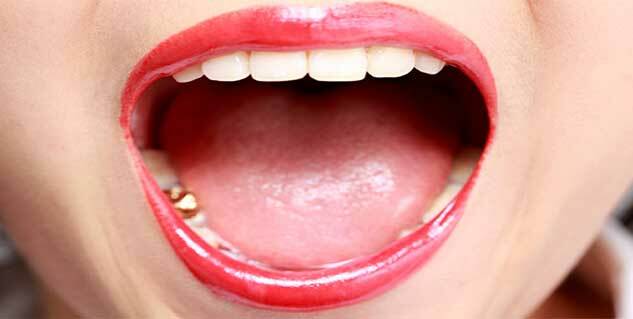 To increase the longevity of your crown maintain good oral hygiene. To maintain healthy teeth and gums brush with fluoride toothpaste (twice a day) and floss everyday and go for regular dental checkups and professional cleanings. Do not chew hard foods, ice or other hard objects to avoid damage to the bridge.